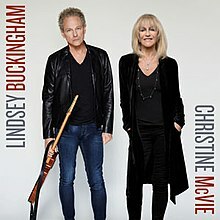 LINDSEY BUCKINGHAM/CHRISTINE MCVIE: LINDSEY BUCKINGHAM-CHRISTINE MCVIE: 2017: 4 STARS OUT OF 5 STARS: Sounds like you would expect- kind of Fleetwood Mac-ish but without Stevie Nicks- which is a big plus. Highlights-Love Is Here To Stay, Carnival Begin, Red Sun, In My World, Feel About You. VAN MORRISON: BORN TO SING: NO PLAN B: 2012: 4 STARS OUT OF 5 STARS: Yet another in a string of fine album from Van The Man. His first album since 2008- 4 years is the longest he has been between albums. The post-economic meltdown seems to be on his mind. The Celtic, soul and blues are all over the album which clocks in at seconds under an hour. The album made the top 10 in the US. This isn’t a criticism but Van albums of this century are so consistently good its hard to distinguish one from the other at times. I don’t think his recent work gets the praise and acclaim it deserves. Is he capable of releasing a terrible album? STEVE EARLE: JERUSALEM: 2002: 3 1/2 STARS OUT OF 5 STARS: Steve’s most political album- John Walker Blues got a lot of headlines but the album is filled with post-9.11- Dubya Bush reaction. The best song by far and one of Steve’s best ever- Jerusalem. Not one of my favorite Steve albums- and its not because of the politics- overall I don’t think the song quality is up to his usual excellence. Still a good album though. 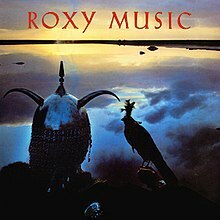 ROXY MUSIC: AVALON: 1982: 5 STARS OUT OF 5 STARS: Roxy Music’s final album. For whatever reason they only had one hit in the US- and it was a minor hit- Love Is The Drug #30. I have heard from this album “More Than This” and “Avalon’ so often I assumed they were hits here but they weren’t. In the UK they had 11 singles reach the top 10 and all eight of their albums were Top 10 with 3 at #1. Why were they ignored in the US? This album reached only #53 in the US- but over the years became their biggest seller- selling over a million copies. More Than This, Avalon, Take A Chance With Me, Tara are favorites. 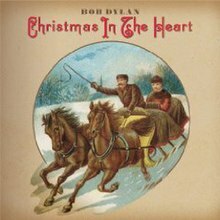 BOB DYLAN: CHRISTMAS IN THE HEART: 2009: 3 1/2 STARS OUT OF 5 STARS: When I first heard Dylan was releasing a Christmas album my first reaction was to laugh- I thought this has to be another Dylan joke. But it’s not. The first thing I heard/ saw was the video for Must Be Santa- the video was a riot and the song was in my head for days. The rest of the album isn’t bad- I am not a big fan of Christmas music either [ it seems like they start playing it right after Labor Day anymore} The album did well- #1 on the Holiday music albums chart-and #23 on the Billboard chart. also listened to this weeks 3 hour Celtic Crush on The Loft.